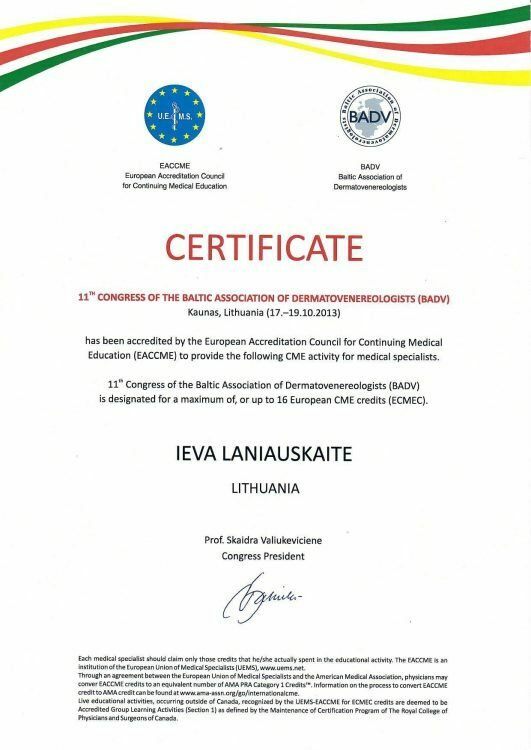 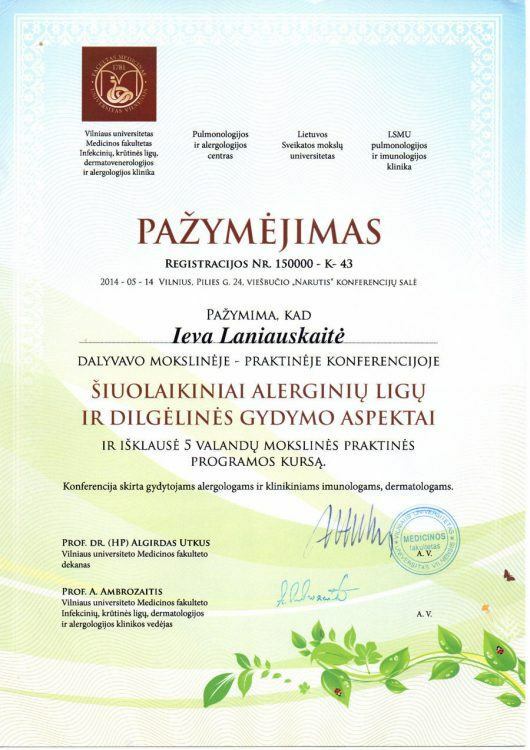 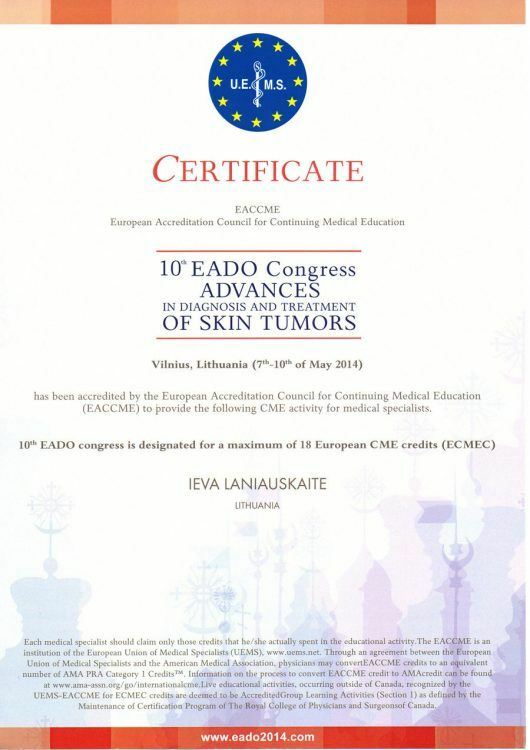 A member of Lithuanian Dermatovenerology Association. 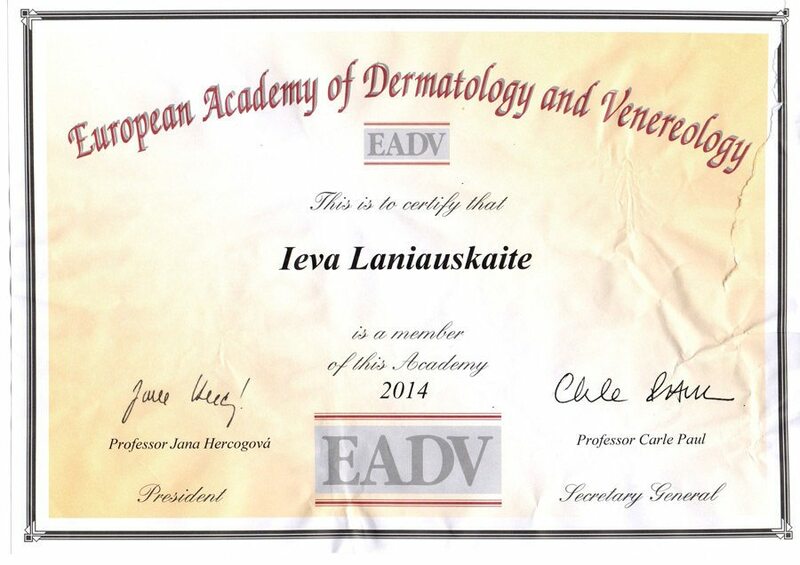 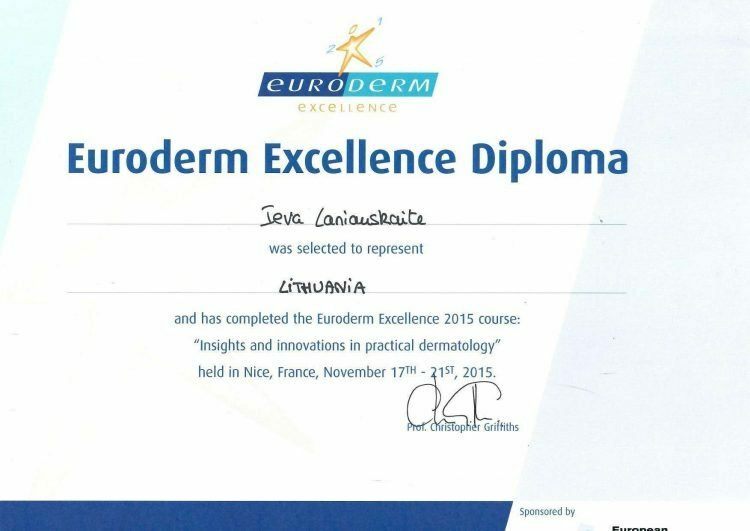 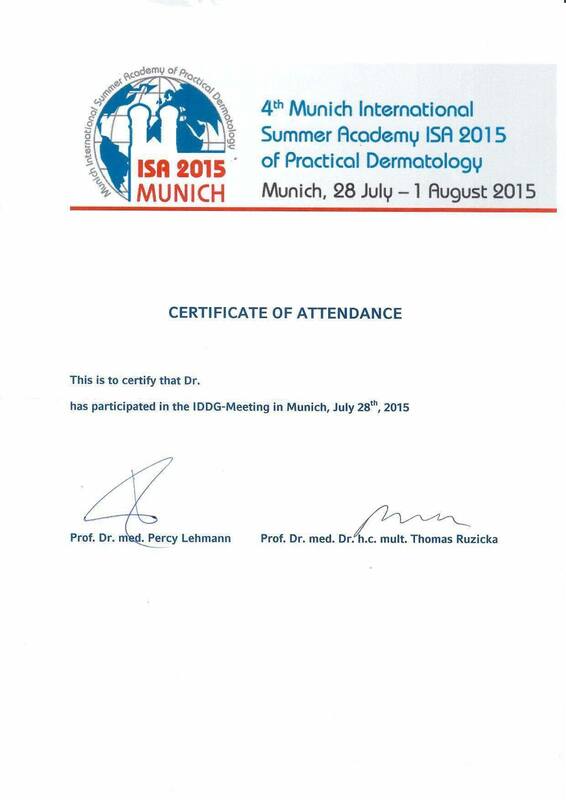 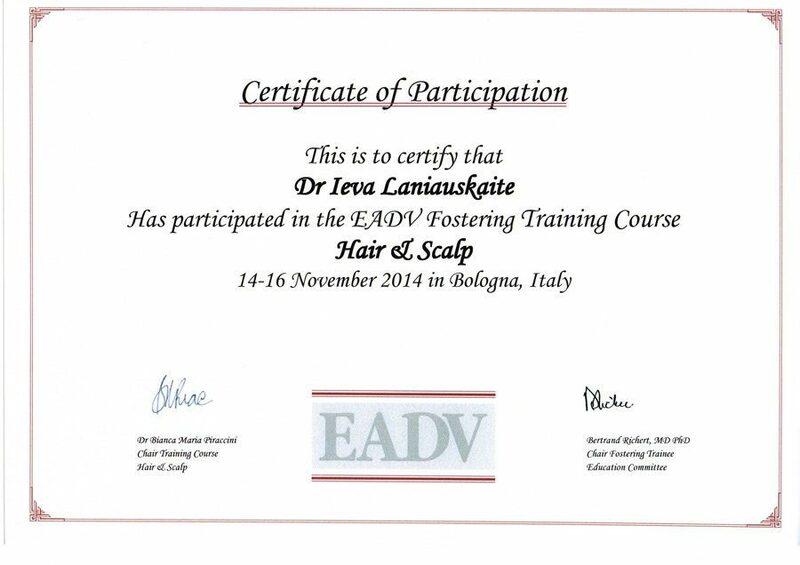 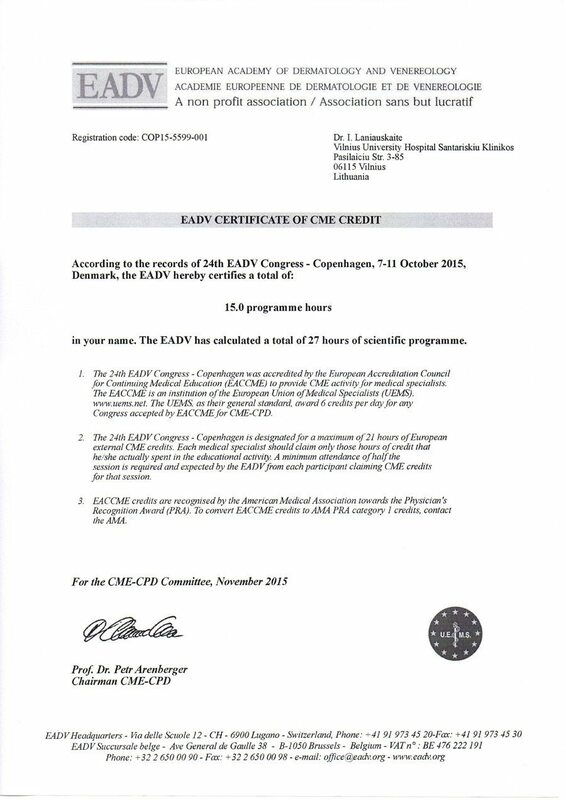 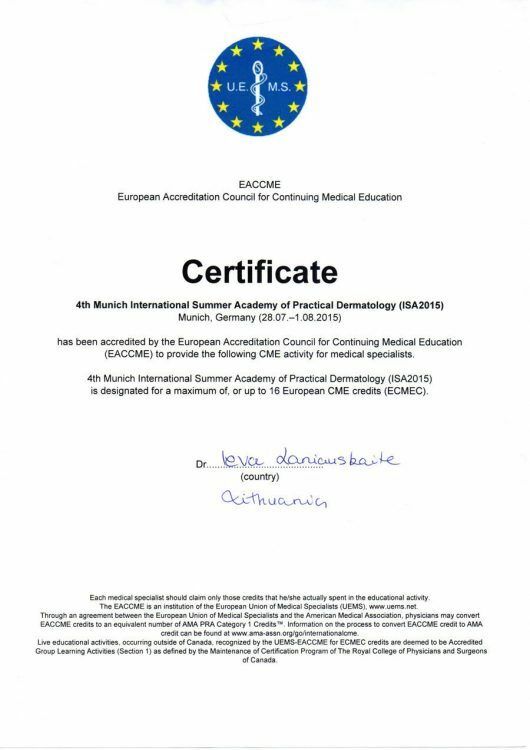 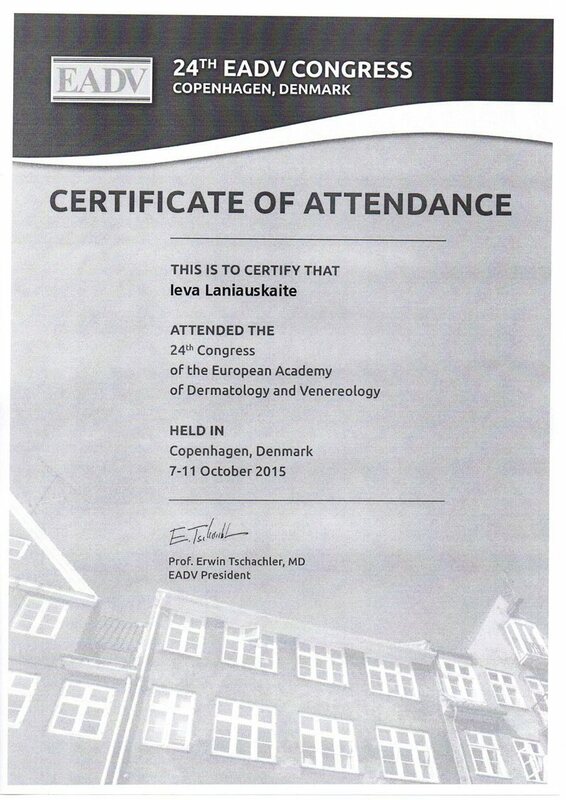 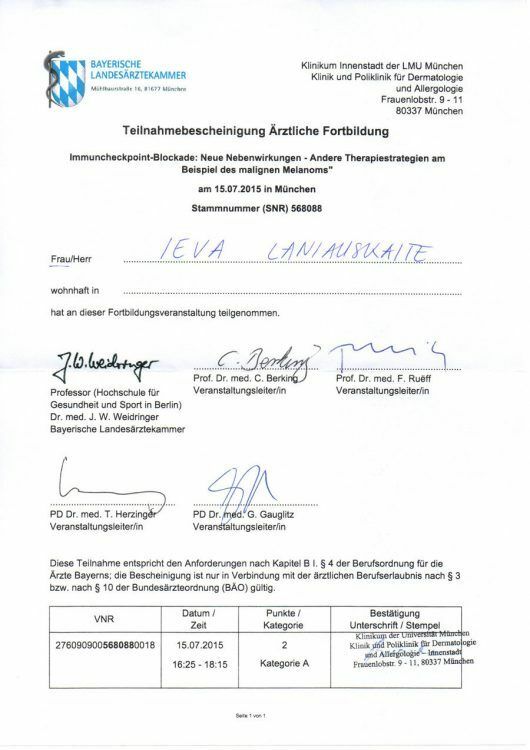 A member of European Dermatovenerology Association. 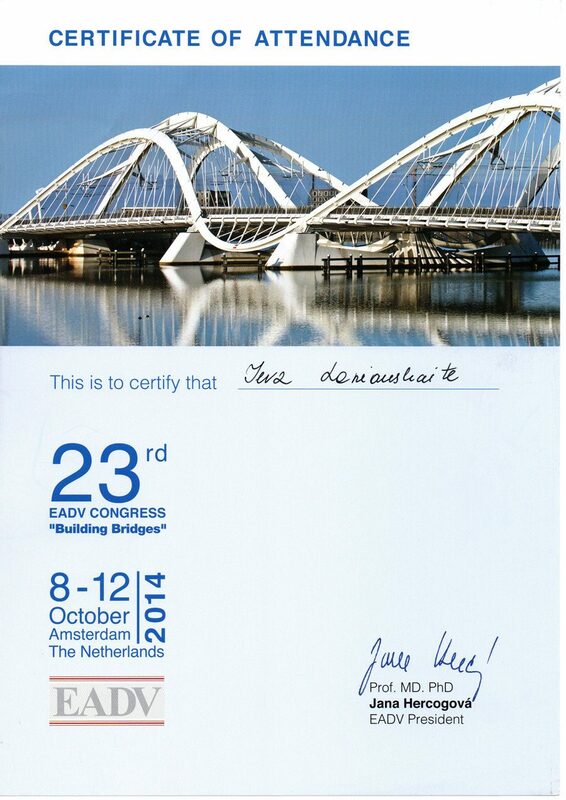 Had training in Turkey, Netherlands. 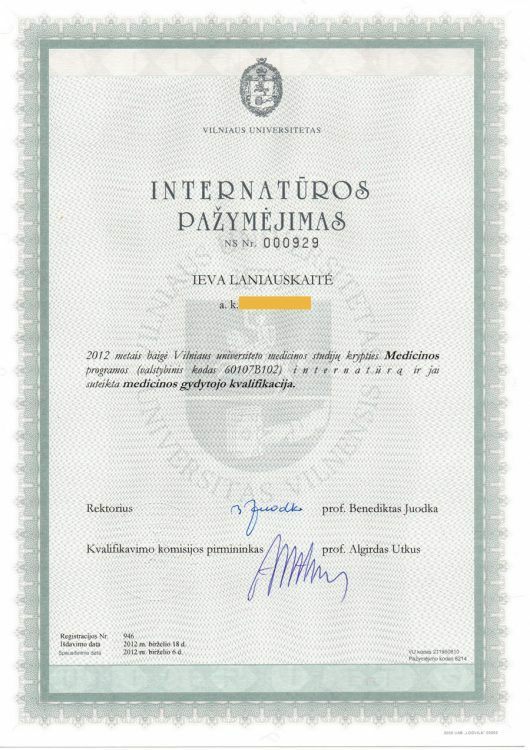 Medical studies at the University of Leipzig, Germany. 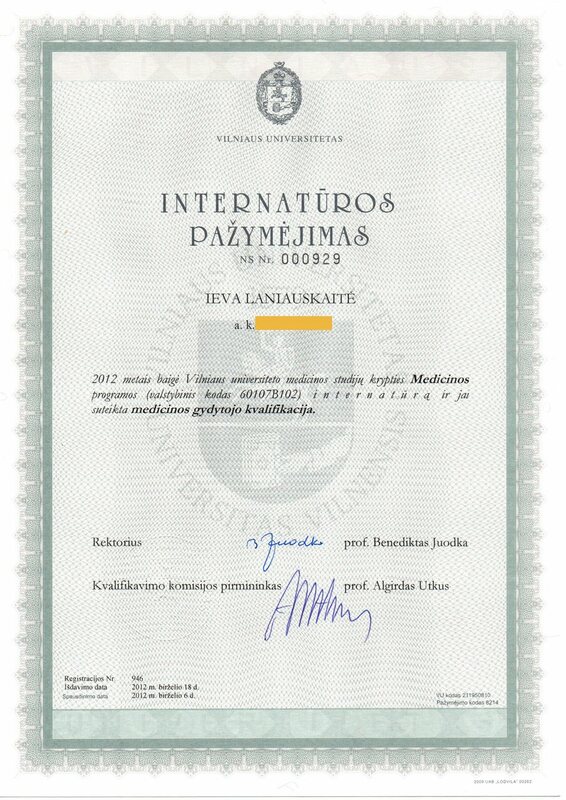 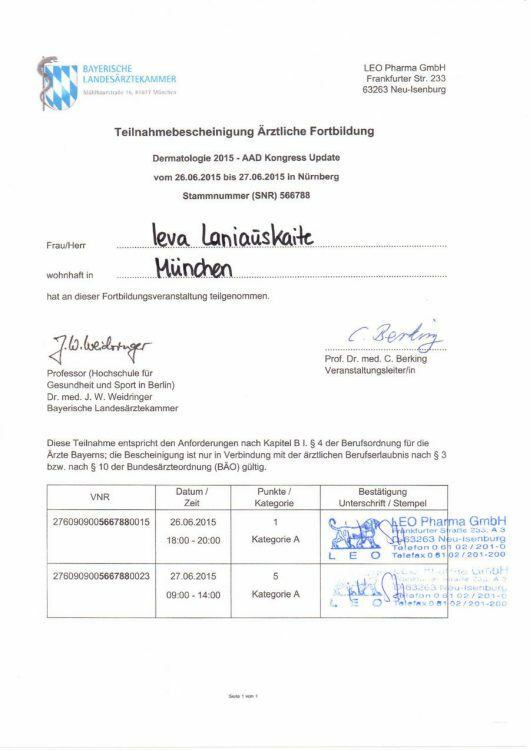 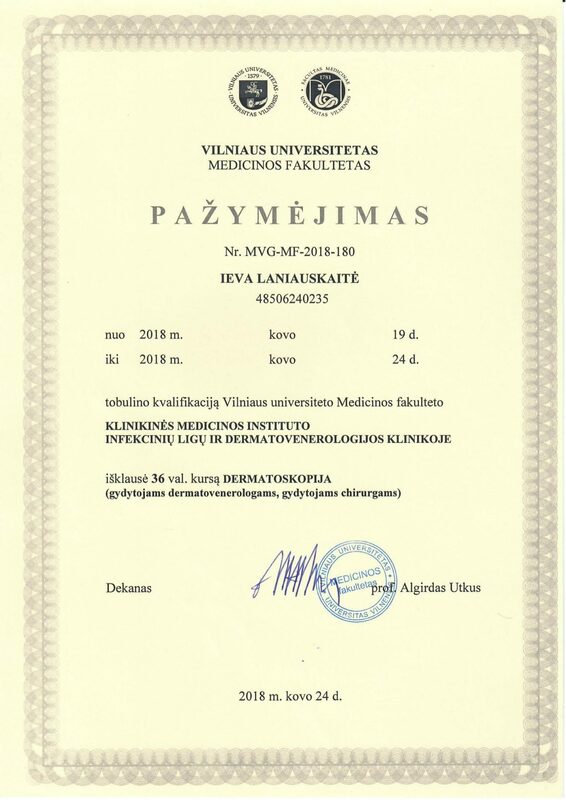 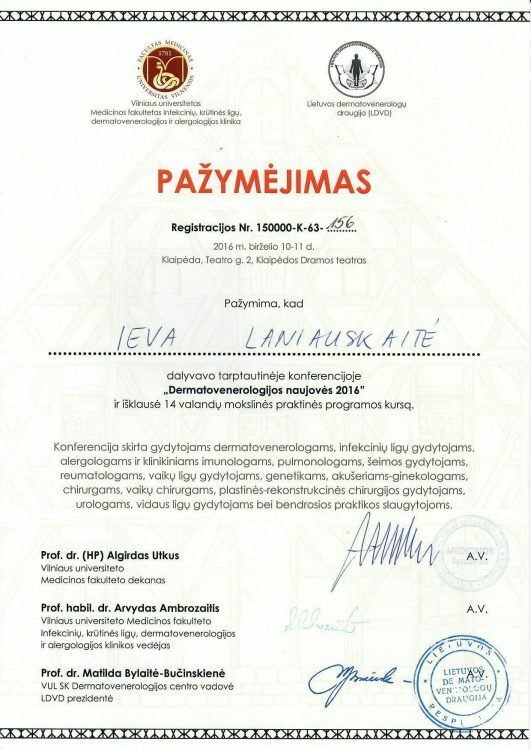 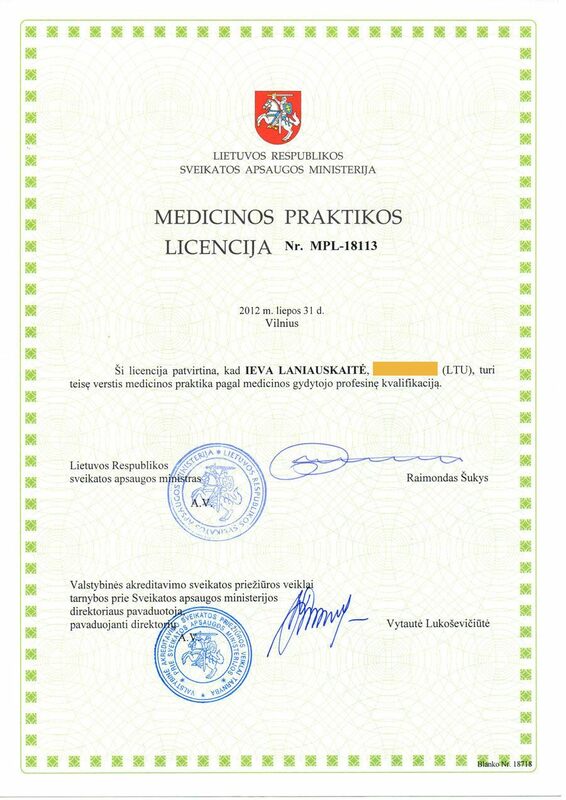 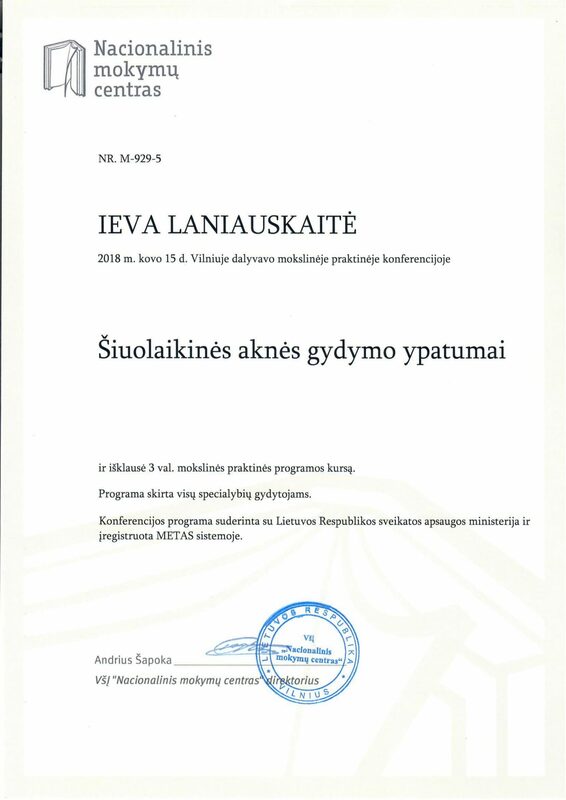 Completed medical studies at Vilnius University. 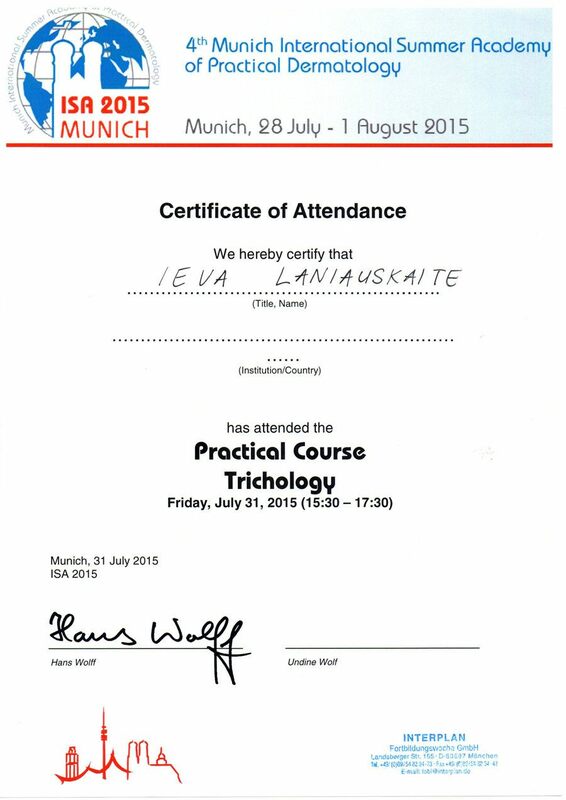 Completed intership at Helios clinics, Germany. 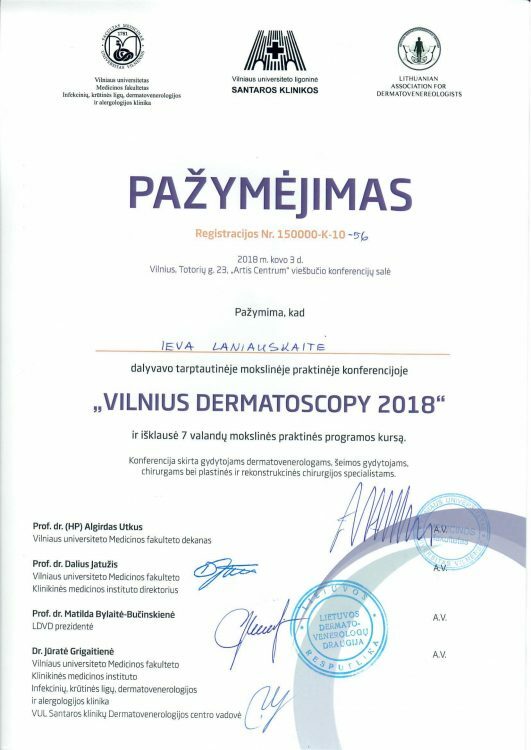 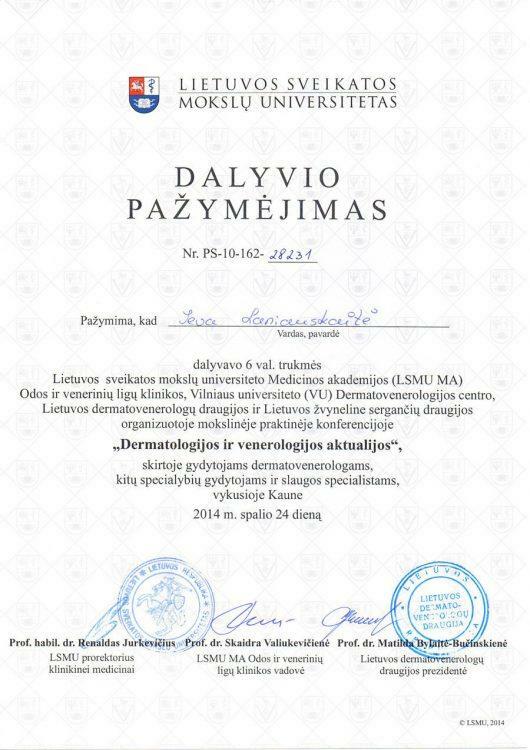 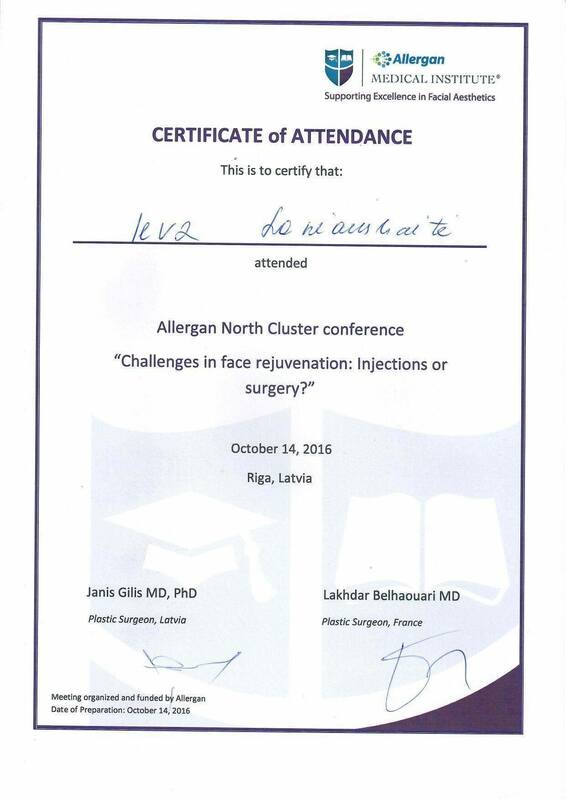 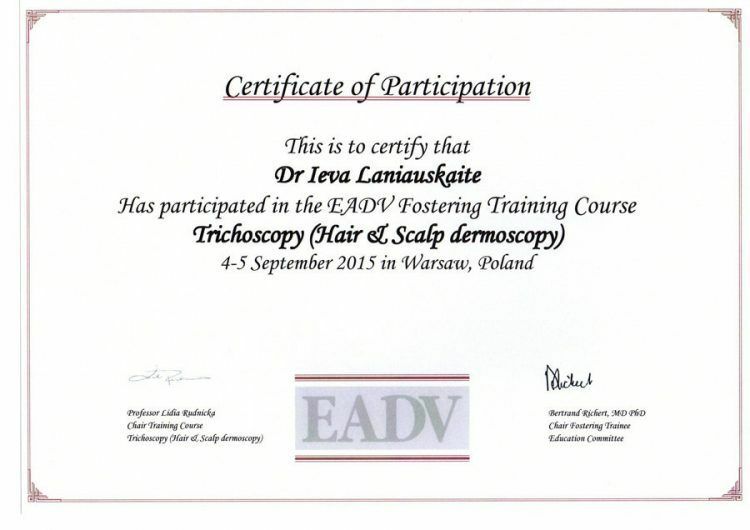 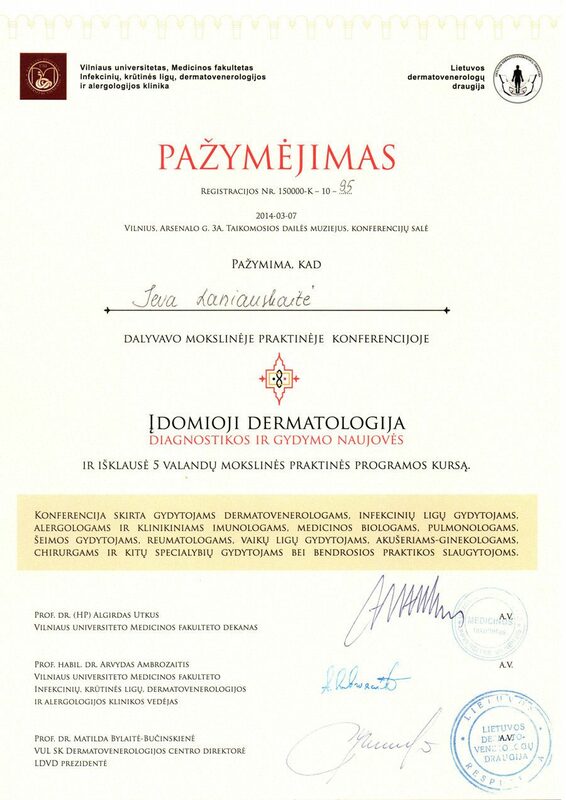 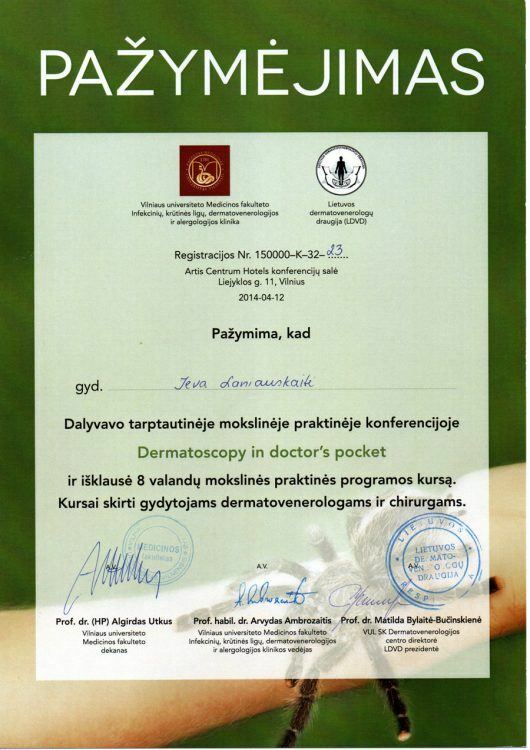 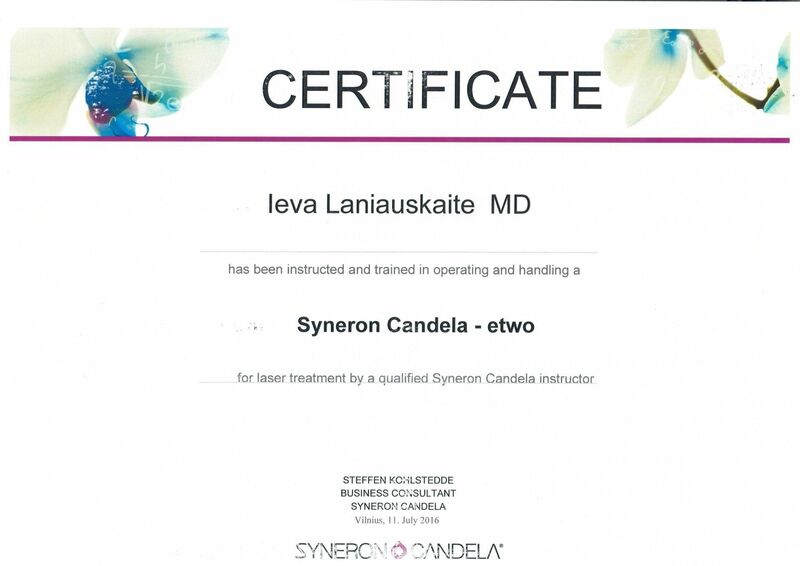 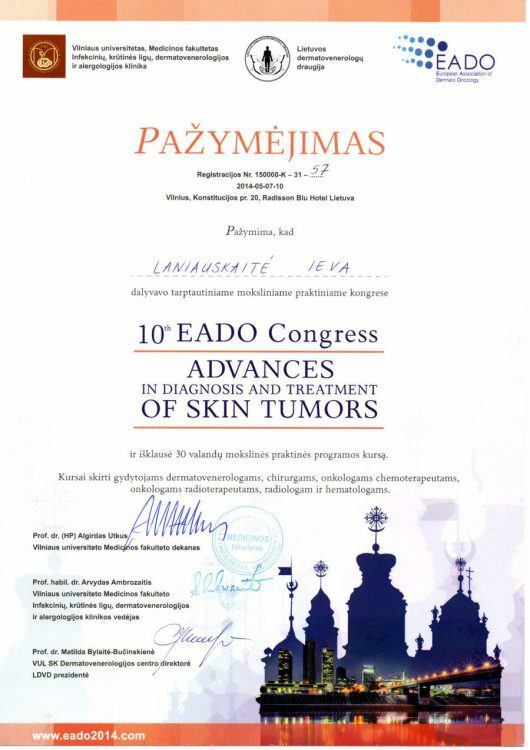 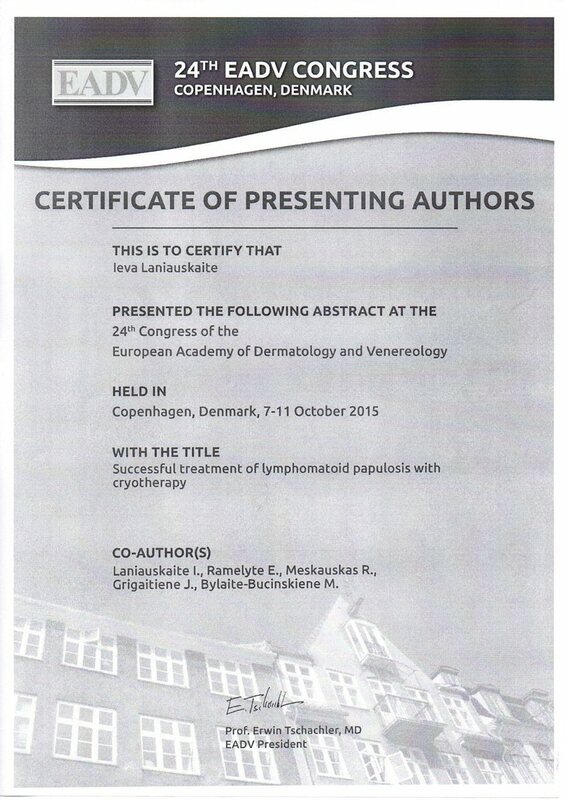 Performs Dermatovenerology residency at Vilnius University hospitals, Santariskes clinics. 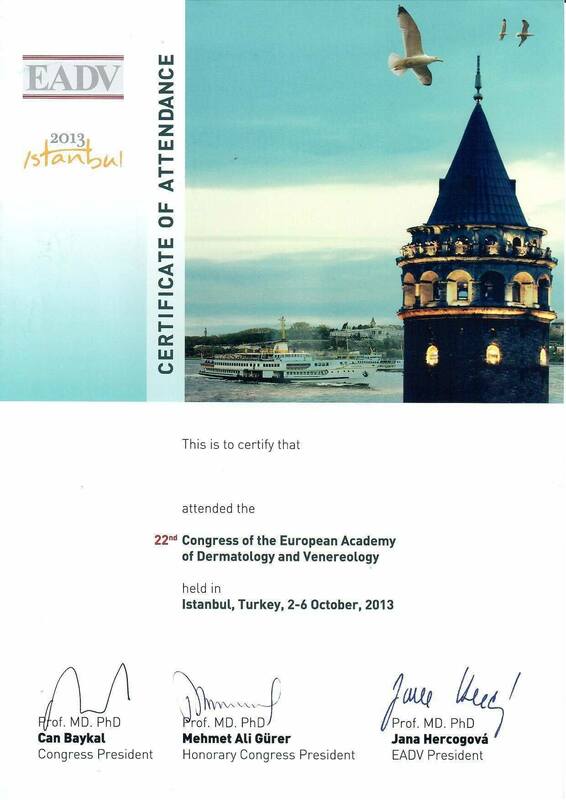 Works in Era Esthetic laser dermatology clinic.